A personal confession: my first commercial enterprise was an accounting practice. I founded, operated and grew my practice successfully and sold out after a number of years. Although I have always retained a fair understanding of tax and accounting matters, when it comes to my businesses, I use accounting firms with the skills necessary for advice and compliance in different areas. 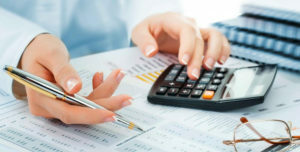 Accountants are a necessity when it comes to compliance with tax and legal requirements. The sheer volume of those laws and the amount and frequency of changes that occur mean accountants often become the meat in the sandwich between two pieces of stale bread – one piece being the tax office, and the other their clients. Being clear on what you need an accountant for, then choosing one based on those requirements, can avoid a lot of pain and misunderstanding. Too often, people change accountants because of the amount of tax they have to pay. They go to someone who they believe is a tax saver first and an accountant second. The old saying, “If it sounds too good to be true, it probably is,” applies. Most sole practitioner accounting firms and small multiple partner firms are similar to GPs, in that they do 80% of what the client needs and refer clients who require specialist services to trusted outside sources. Cash-flow management and costing (virtual Chief Financial Officers, who provide advice to clients regularly). Capital gains tax – this is a minefield for taxpayers. Fringe benefits / employee share schemes. Specialist advice must be provided promptly, and that is why many GPs have difficulty delivering on time if they need to do a lot of research. Similar issues arise for accountants in specialist areas like capital gains tax, stamp duties, restructuring and indirect taxes, such as GST and government grants. We all want the best service, but just like in a restaurant, we’re not the only ones occupying a table. We must respect the fact that accountants have other files on their desk that require their attention. A good accountant is one who ensures you are compliant with your tax requirements, provides you with financial statements that are meaningful and lowers your risk in all areas. You cannot expect an accountant to be an expert on income tax, capital gains, stamp duty, restructuring, superannuation, investments, business growth strategies, cost accounting, Centrelink, HR, etc. Get clear from them what they will provide you with and ask them if they use professionals they can refer you to when you require different specialist services. Understanding what your accountant will and can do for you, knowing what their service standards are and replying to their queries will mean you will have a more effective relationship with them. If you need help understanding the kind of accountant you need for your small business, email me at bryan@bryanworn.com.